I hadn’t really seen or heard much about the Tomatin distillery until mid-2010 when Joshua over at The Jewish Single Malt Whisky Society generously sent me 50ml of his Master of Malt Tomatin 19 year single cask (cask-strength) as part of a sample swap. He was really impressed with it and thought I’d like it. I took one whiff and was hooked. Although, the oak is borderline too much on the palate. Still, a very impressive whisky. Later, when Master of Malt offered to send some review samples, I noticed that the cask-strength bottling wasn’t available anymore, but they do have a 40% version available. I was able to get a sample of that, and will share my thoughts in this blog post. Next, I saw some comments by Steffen of the Danish Whisky Blog about the Tomatin distillery releases being much improved. He especially seemed to like the 18 year distillery bottling. A few weeks ago, I ordered a bottle of the Tomatin 18 year, newly formulated in 2009, with an Oloroso Sherry Cask finish, and bottled at 46% non chill-filtered. I’m going to cover this expression here as well, and compare/contrast with the MoM bottling. I discovered over at Malt Madness that the Tomatin distillery had as many as 23 active stills in the 1970s, with most of the produced whisky going into blends. It had the largest production capacity in Scotland! Apparently, it’s that historical focus on blends (particularly Antiquary and The Talisman) that has prevented Tomatin from becoming a household name. The current owners (out of Japan), however, seem to be bringing the single malt releases more to the fore, with 12, 15, 18 and 25 year expressions in the standard range. Nose: I’m struck by very “fresh” malted barley sweetness, along with plenty of oak and vanilla. Then…more malted barley. It actually SMELLS big and juicy and sets up big expectations for the palate. Palate: Just as promised by the nose, a big, juicy, malty sensation on the palate. Now with a little fruit (apples/pairs) added in. Finish: A little pepper, and then, would you believe, more of that awesome malted barley? It has a medium length. Comments: I’m blown away by the malted barley sweetness on this one. So fresh, clean and juicy. In my experience so far (just a couple of years), this has got to be my reference for that particular flavor trait. I actually think this is nearly as good as the cask strength version, as the oak isn’t quite as over-the-top on this one. However, when watering the cask strength version down to about 46-48%, I think the palate is a bit nicer. Nose: Oak and vanilla, but not as strong as on the 19 year. It seems to be toned down by a fairly strong dried fruit presence from the sherry finish. There’s some of that fresh malted barley here as well, but it’s a part of the balanced presentation, not in your face. All of this is very clean. Palate: Juicy and fruity, then white pepper kicks in, stronger than on the 19 year. Finish: On the late palate and early finish, there’s more malted barley. It’s not at all stale like I often find in “malty” whiskies. The white pepper lingers for a medium-long period. Comments: Very well balanced and highly refreshing. So clean from start to finish, and the dried fruits from the sherry finish integrate wonderfully with the oak and barley that were so prominent on the MoM 19 year. I’m guessing most would rate this a little lower than the MoM bottling, but what can I say? I’m a big fan of that dried fruit sherry influence. My favorite whiskies to this point typically have had some peat and hail from other regions, or they have a fairly heavy sherry influence. I’m not quite ready to put either of these on my best of the best (90+ points) list, but they sure move up to the top of the Speyside whiskies I’ve tried that aren’t heavily influenced by sherry (Aberlour a’bunadh comes to mind in that category). I had to mail order my Tomatin 18 bottle. I really hope to see a wider distribution in the U.S. soon! I can strongly recommend the MoM release as a reference point for understanding what a brilliantly malty experience Tomatin has to offer, not to mention a wonderfully clean oak/vanilla component from the bourbon cask maturation. However, if you’re in the United States, it’s going to set you back over $100 with the exchange rate and shipping (you can always try a 30ml sample, though). That’s why I give the nod to the standard 18 year release as an amazing value whisky, with plenty of that malty goodness to go with the dried fruits and oak. At close to the same price as The Glenlivet 18 year, and bottled at 46%, this Tomatin is a no-brainer in the $60 and under price range. Whisky Fun: Serge gave the 18 year a solid 85 points, although that’s actually a point lower than his rating for the previous release at 40%. What Does John Know (Malt Advocate): 88 points for the 18 year from John Hansell. The Jewish Single Malt Whisky Society: Here is Joshua’s review of the 40% MoM release. He digs it. Whisky for Everyone: A nice overview of the distillery, along with notes on the 15 and 18 year OB expressions. The Whisky Bible: Jim Murry loves both of these (and the cask strength version of the 19 year), rating them in the mid 90s. Whisky Notes: Also of note is Ruben’s 86 point review of the cask-strength version of the MoM 19 year. 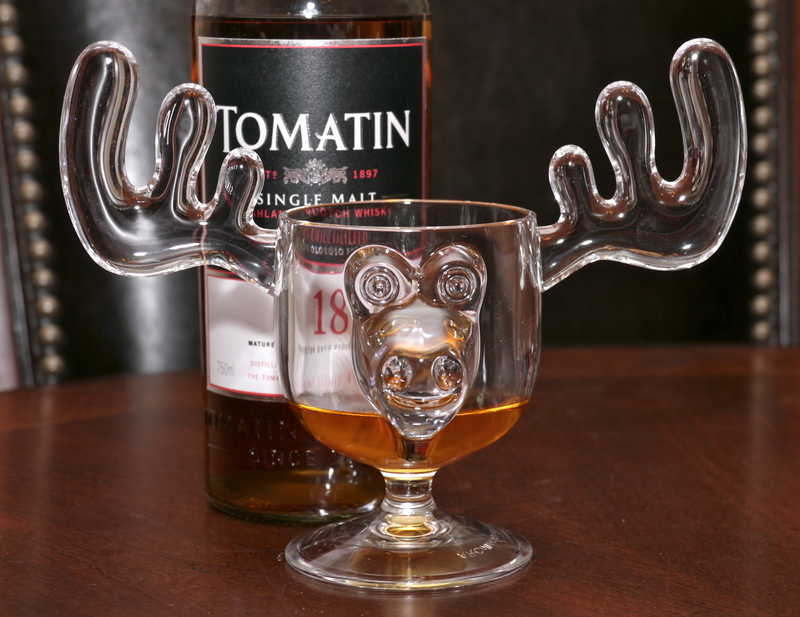 i have to admit, I’ve yet to try a single Tomatin to date…. i now see that i really should. Another distillery I had to miss on my Tour! Why not a few posts about Clynelish and GlenDronach to make me feel really great, eh Jeff?! Tomatin is undertaking a quiet renaissance, although I must say I wasn’t won over by their ‘new’ 12yo. I couldn’t get beyond an overly intense fudginess on the nose – an oak influence I didn’t care for, perhaps. I haven’t given up on the distillery by any means, and your write up, together with that of the Edinburgh Whisky boys, has lodged it into my brain. I know…I was searching your site, hoping to find a tour of Tomatin that I could link to, but alas, no luck. 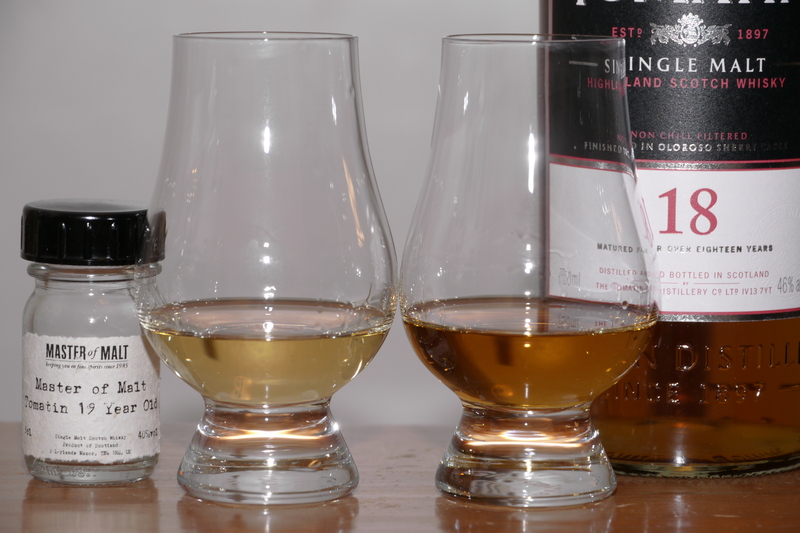 I love Glendronach 12, and got a sample of the sherry bomb 15 year, so maybe a post on that sometime soon. I haven’t tried the Tomatin 12 year, and the 19 year MoM definitely was high on the oak side, but the 18 year really does strike a nice balance. I read about Tomatin is several places so far, but I think yours are the first notes I read about them. It would seem that like Gal, I must get my hands on this and give it a try as well. I think we share a similar taste you and I, which only makes me want to try the Tomatin even better. You’re right, though…Tomatin seems to fly under the whisky enthusiast radar for the most part. Yes, you were definitely right about this distillery Steffen. Good call! Have been meaning to leave a comment for a while now… Love this post – great review, Jeff! I love the 19yr MoM’s (as you know). Thanks Josh! Yes…if you haven’t tried the current 18 year OB, move it up on your “to buy” list!